William Horsley is a former BBC correspondent, media freedom representative of the Association of European Journalists (AEJ) and member of its working group ‘European strategy for media independence and sustainability’. World Press Freedom Day is 3 May. 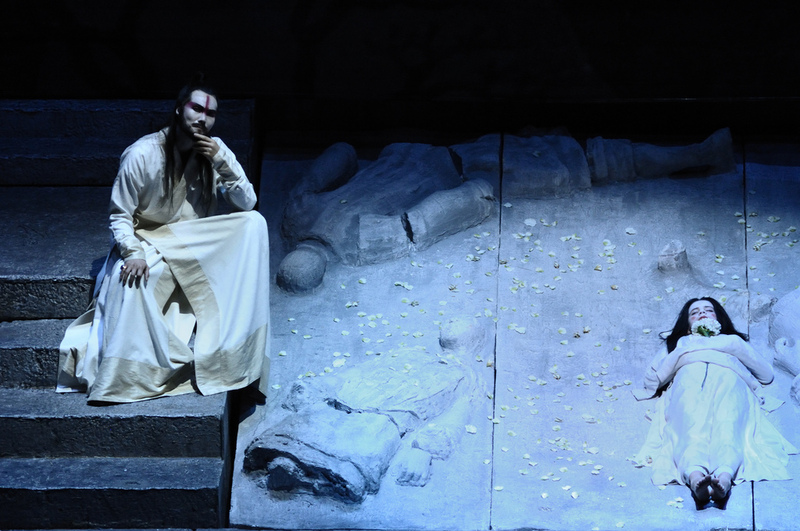 In Puccini’s opera Turandot, the cold heroine taunts her suitor with a fiendish puzzle. “What is the ice that makes you burn?” she demands. Unless he can answer correctly, the suitor is doomed to die. The right answer turns out to be Turandot, the name of the cruel princess herself. Decisions about policies related to the media in Europe may lack the drama of Puccini’s crowd-pleasing opera. But they are fiercely contested, and can cause apoplexy among national governments and powerful media barons. Both are resistant to criticism and intensely jealous of their ability to set agendas and exert influence. So for the European Commission, the task of devising and implementing strategies to sustain a free and viable European media has proved treacherous territory. Now those issues have become life-threatening. In 2013, the Council of the EU publicly accepted that ensuring a high level of media freedom and pluralism is essential for the Union to be “credible” in international forums and in negotiations with acceding countries. The EU’s street cred has grown very thin. Now the EU and its member states must be held to account. The Union must live up to its promise to uphold press freedom and to deliver fair and transparent regulation, and face the challenges with honesty and coherence. Actions have to be based on sound international principles as well as the slippery platform of EU law. The last Commission was spurred into action by signs of political interference in the media in Hungary and Italy. Under pressure from the European Parliament and civil society groups it took some cautious steps into these tricky waters. It approved several pilot projects, managed by independent NGO and academic groups, which included monitoring media pluralism, mapping press freedom violations, and setting up journalists’ training and safety networks. The Lisbon Treaty of 2009 contains new provisions on fundamental rights in, but the Commission concluded that its competences in the media field are severely limited, except in relation to the EU’s single market rules. Article 11 of the Charter of Fundamental Rights states plainly that “the freedom and pluralism of the media shall be respected”; and Article 7 of the founding Treaty on European Union (Maastricht Treaty) even says that the EU has an obligation to intervene directly in any member state “if there is a clear interference with the democratic function of media”. However, since the sanction foreseen under Article 7 for serious and persistent violations is the nuclear option of an outright suspension of rights of the member state in question, these commitments have in practice been unenforceable. That has left the EU as an international weakling in terms of ensuring compliance with the public commitments made by its member states under the European Convention on Human Rights as well as the Lisbon Treaty. The EU should do better than that. In answers to the European parliament Frans Timmermans, the Commission Vice-President responsible for the Rule of Law and the Charter of Fundamental Rights, repeated the refrain that Article 7 should be a last resort — although he said he would be ready to make proposals “if a situation arises which requires its use”. The Commission is also perceived to have made mistakes, notably when in 2013 it proposed funding a new online media dedicated to EU affairs, giving priority to the Commission’s own agenda. It withdrew the proposal in the face of objections about guarantees of editorial independence. And recently a European parliament-proposed grant scheme for investigative journalism which was painstakingly elaborated over five years has apparently come to nothing, amid claims of Commission foot-dragging and excessive bureaucracy. Again, surely the EU should do better. There are two big challenges for the EU which cannot be ducked, and they are related. The first, in cooperation with member states and journalists themselves, is to help to safeguard media freedom, and the lives and work of journalists, from acute dangers of the kind brutally demonstrated by January’s massacre at the office of Charlie Hebdo magazine in Paris, as well as others which are well chronicled by leading NGOs. The second, which was also identified by the Commission-appointed High Level Group in its January 2013 Report, is to coordinate support for independent, high quality journalism to ensure its long-term health. And perhaps ways of funding it, too, because traditional business models have been eroded and the great ocean of the internet has not yet produced media of the same quality and durability. Who benefits from this? Surely not the peoples of Europe. The Commission and Parliament might now prefer to recoil from the trouble-spot that is media policy, bowing to the assertiveness of member states. But for the sake of Europe’s citizens they should face up to these urgent issues, guided by lessons learned from experience. First, a coherent EU media strategy should acknowledge that national governments, which bear the prime legal responsibility for upholding freedom of the press and freedom of expression, are also the main culprits in violating those freedoms and denying them to their citizens. The Commission should seek to clear away the existing barriers to independent, inquiring journalism in the EU, in the form of illiberal laws and official behaviour that criminalise journalism and deny citizens basic access to information of public interest. These issues are home-grown in member states but also have an EU-wide dimension. Inquiring journalists are too often subject to official or judicial harassment and to police violence. Anti-terrorism and libel laws are used to narrow the space for media scrutiny of state power. And secret snooping on journalists’ communications breaches the confidentiality of journalists’ sources, one of the fundamental pillars of press freedom. The Council of Europe has called on its 47 member states – including EU countries — to review their laws and practices to ensure they meet their international obligations to protect journalism and the safety of journalists. The EU should make the achievement of this goal a high priority for the European Union in keeping with its proclamation of “European values”. Secondly, the new Commission should use its authority to tackle the spread of “internal censorship” which has come to blight the world of journalism in many parts of Europe, and has become a particular problem, for example, in Bulgaria and Romania. Self-censorship is often caused by journalists’ fear of reprisals or loss of employment if they hold to their professional ethics above the partisan wishes of media owners or editors. Self-censorship is the symptom of a malaise which links the twin issues of the erosion of media freedom and the decline of sustainable, high quality media. Across Europe, improper influence is routinely exerted through the advertising budgets of companies and public bodies; and the impartiality of public broadcasting is polluted by political bias in the systems of governance. Meanwhile, public trust in the media themselves has fallen. The phone-hacking scandals in the UK and aggressive political lobbying by the Murdoch media empire, like Silvio Berlusconi’s strategic hold over the Italian TV landscape, have symbolised one of the ills of our age. That is the fusion of political and media power, in which oligarchs and political figures are able with impunity to misuse their media holdings to advance their partisan advantage and interests. The Commission has said it will focus on conducting a review of the Audio-Visual Media Services Directive. That must strengthen the independence of national media regulators and cut out gross examples of political influence. Independent and investigative media deserve support from the Commission to enable them do their work unhindered. The Commission has been called on to open up a meaningful dialogue with media practitioners and journalists’ organisations to promote quality journalism in the long term. The EU’s talks on its accession to the European Convention on Human Rights have dragged on for too long. The prospect of accession, promised in the Lisbon Treaty, must be accompanied by a demonstration of active commitment to the Convention’s principles and to the case law of the European Court of Human Rights on freedom of expression and media freedom. And the EU has been shamed into acknowledging its double standards over safeguards for media freedom and plurality. The External Action Service’s Guidelines on Freedom of Expression lay down the strict standards and guarantees that it calls on non-EU states to meet, while countries inside the Union are not held to the same standards. A worthy goal for the new Commission would be to end that hypocrisy, and do all it can to ensure that Europe leads by example in creating the conditions for free and independent journalism to thrive.